Friends of the Tsar is inspired by your personal experiences and your family history. Why was this an important book for you to write? The diversity of my knowledge, which was given to me by spirit, was something too important to have lay dormant. The knowledge I accrued from many camping and four wheel driving trips was gained through life and death situations I encountered. If, by getting this information out to the world could save just one life, then I will have had good reason to write it. The many miracles that kept my family and I safe on these learning adventures were so profound in that they were logic-defying, and I thought what better way to tell of my miracles than through an Australian character who entertained the Zuckschwerdts, my grandparents, with the narratives while snowed in. What were some things that you felt had to stay true to real life and what were some things you took liberties with? I felt that the horrific conditions in which my grandparents were successful in decamping from Russia had to stay true to life, also their personality. I took liberties with the negative aspects of their plight because it would have been too depressing for a reader to continue reading. Too many family members were murdered by the Bolsheviks. I also wanted to honour them with an acknowledgement of their plight after which they were positive in the rebuilding of their future together. I felt like faith and family were important in the book. What were some themes you wanted to capture in this book? The pivotal themes I wanted to capture were miracles, spiritual awareness, hope, danger awareness in nature, remembering ones heritage, and faith and family. My mother, on the other side, wants me to write children’s books. My previous vocation as artist allows me to illustrate the books myself, and my eagerness to encourage young people to speak up when put in danger, especially when dad’s driving is too scary, strengthens my resolve. It won’t be until this time next year that a book would be ready for publication, should I decide to do so. 1917–The Russian Revolution. Danger and chaos abound, and the aristocratic Zuckschwerdt and Orloff families are desperate to escape to safety. Enter Blue, an Australian cattle-breeder with a big heart. Blessed by a heap of miracles from the Outback and beyond, he shares his gripping adventures with the snowed-in families. Blue has survived everything from bushfires to crocodile attacks. With wolves and winter nipping at their heels, the Zuckschwerdts prepare to depart for the lucky country. Plunged into hostilities and espionage in Petrograd, they make a break for the high seas, only to find themselves in a deadly game of bluff with a German U-boat skipper. Blue is in a predicament of his own when three of the Orloff daughters fall for his red earth charms. Will he find true love with one of them? And will his Aussie anecdotes help the family understand that awareness and preparation can spell the difference between life and death? As miracles begin to unfold, the Russian refugees discover the power of faith. 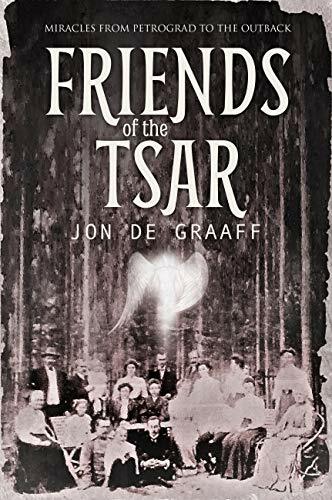 Inspired by Jon de Graaff’s personal experiences and his grandparents’ family history, ‘Friends of the Tsar’ is a thrilling tale. Spiked with humorous twists, tragic turns, perilous encounters, and life-saving lessons of survival. 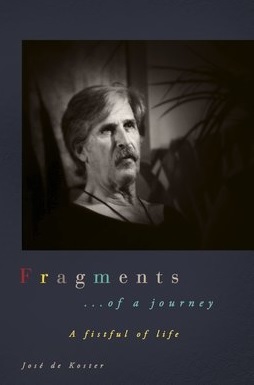 It offers spiritual insights into forgiveness and unconventional love. Posted on March 16, 2019, in Interviews and tagged alibris, australia, author, author life, authors, barnes and noble, Bolshevik, book, book club, book geek, book lover, bookaholic, bookbaby, bookblogger, bookbub, bookhaul, bookhub, bookish, bookreads, books of instagram, booksbooksbooks, bookshelf, bookstagram, bookstagramer, bookwitty, bookworks, bookworm, ebook, faith, family, fantasy, fiction, Friends of the Tsar, goodreads, grandparents, heritage, hope, ilovebooks, indiebooks, Jon de Graaff, kindle, kobo, literature, migrant, miracles, nature, nook, novel, publishing, read, reader, reading, russia, russian, shelfari, smashwords, spirit, spiritual, spiritual awareness, story, writer, writer community, writing. Bookmark the permalink. Leave a comment.